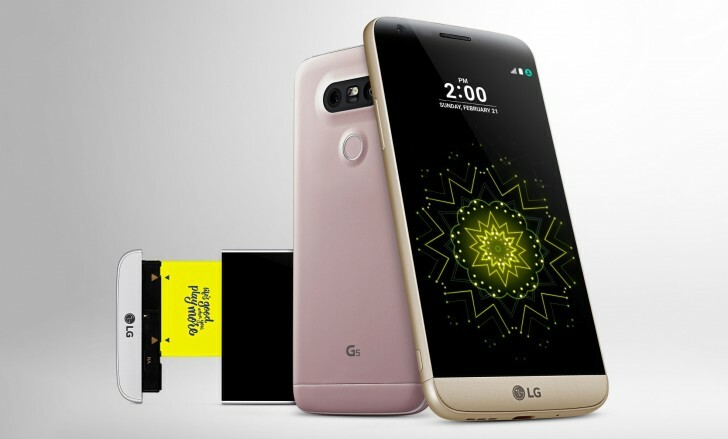 LG unveiled the LG G5 smartphone on Sunday which has a modular type design for add-on camera, battery. The G5 has a “fluid metal” body and beveled glass on the front; not even antenna slits spoil its perfect lines. The G5 have separable bottom part to access battery and card slot. 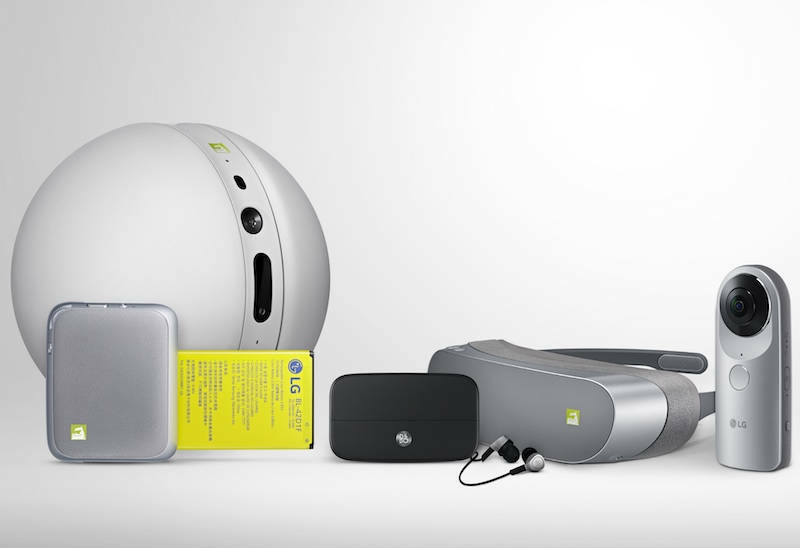 LG didnot unveil the price and availability of G5. The G5 comes with add ons whch are Camera grip, the LG Cam Plus. It adds 1,100mAh battery and hardware controls – a hardware shutter key, a video button, zoom dial. Then there’s a Bang & Olufsen DAC for even better audio quality. LG G5 runs on Android Marshmallow and It is powered by Qualcomm Snapdragon 820 SoC coupled with 4GB of RAM . G5 has 32GB of inbuilt storage that can be expanded using a microSD card. Other features of the LG G5 include a 2800mAh battery with Quick Charge 3.0 and a fingerprint sensor below the camera. LG G5 has a 16-megapixel and 8-megapixel rear camera. One with a standard 78-degree lens and another with a 135-degree wide angle lens, the widest available in any smartphone.